There is nothing that makes a statement like a leather jacket. I’m talking chic and flattering not ‘distressed’. For older women nothing you wear should be distressed. If you have a pair of ripped distressed jeans please get rid of them. Yes, they make a statement but it has nothing do with looking stylish. The key to wearing a leather jacket is to pair it with good quality jeans, a tailored skirt (very French), a feminine dress – the contrast looks stunning – and your white shirt of course. No one could accuse Christine Lagarde of ever looking anything less than stylish. A key benefit to the leather jacket is of course it’s longevity. This is one item in your ‘essentials’ where you do not want to cut corners. Buy quality and it will last. Quality does not always mean ruinously expensive. I bought a collar-less black leather jacket form Zara 8 years ago and I’m still wearing it! It actually looks better with age. So if you think you are too old for leather think again. One thing to bear in mind is the fit. Always chose a close fit – you will rarely fasten your jacket – with slim sleeves and not too much embellishment. This will ensure your jacket has staying power. A leather jacket is possibly the most versatile item of clothing (apart from jeans) as it changes personality depending on what you wear it with. Although we have had the warmest year on record – allegedly, we have had some cold days recently and the first casualty can be our lips. 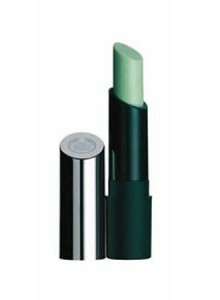 Not only is it uncomfortable to have sore and perhaps chapped lips but it makes the application of lip stick difficult, particularly with dark or bright colours. Prevention as we are told, is often better than cure, so here are some tips for ensuring your lips remain in tip top condition. 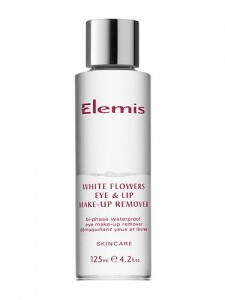 Micellar Water is quick and easy, as are cleansing wipes. However, if your lips are chapped then something kinder may be the answer. You need to moisturise before you go to bed – this is an excellent time to slap on the product, and of course first thing in the morning and before you go outside. Although most good lipstick brands will moisturise your lips, in the winter you will need a little extra help. Whether you go for luxury products or tried and tested favourites make sure you do moisturise. Cheap as chips and it works! Don’t forget to carry a lip balm or cream in your bag – always. This is essential if you spend time out of doors. My all time favourite when I’m on the go. As my blog is all about sharing tips and ideas I’d love to hear what beauty products you wouldn’t be without. Please get an touch and share. If you wish to look stylish then a pair of black trousers has endless appeal. If well cut and well made they should last a few years. They can be dressed up and down. With heels and flats, high boots, ankle boots and sandals. What’s not to like. Like the perfect jeans you need to take the time and trouble to get the right pair. Shop around carefully. The classic cut of the Stella McCartney trousers shown below, would suit most body shapes. More affordable styles can be found at Reiss and Max Mara are always a good choice. Remember, your classic black trousers will not be a cheap purchase. There are many high street brands but the quality, fit and cut is often poor. Added to which they tend to crease. If you have long legs then wide pants will usually look good. If you have short legs and want to wear wide pants then make sure the legs cover your footwear, and preferably wear heels. If you have fairly chunky legs stay away from cut offs as your legs will look shorter and heavier. If you have very thin legs then – rather counter intuitively – skinny cut trousers will make your legs look like sticks. Better to buy straight cut. Don’t wear trousers with front pleats unless you have a flat stomach. If you have thick ankles keep them under wraps. Don’t be tempted to wear cropped styles. There are many styles around that stop at the ankle. Consider carefully what to wear on your feet. Heels, flats, ankle boots or wedges will all work but are dependent on the ‘bulk’ of your footwear. Too bulky and your feet will not be in balance to the neatness of the trousers leg. The image below is ideal. The above boot cut trousers balance the body, particularly if you have heavy thighs, and help to lengthen the legs. The wide leg trousers above, with belt loops, are a good buy. To hang well you will need to wear heels of some kind. If you tend to favour flat shoes either try a modest wedge (easier to walk in) or if you insist on flats make them as neat as possible. Take the time to do your research and buy the black trousers that suit your shape, in a good quality fabric and always hang them up when you take them off! There are many high street outlets that sell cheap wool blends. Perfect for throwing on with your jeans to do the grocery shopping. They have no place in creating your signature look. A signature look needs to stand the test of time. Invest in good quality knit wear and it will last. For versatility it’s difficult to beat a knitted jacket or cardigan. Forget all about the traditional crew neck cardigan – unless you wear a truly outrageous piece of jewellery with it. If you are over 50 you will look frumpy. A simple navy blue V neck sweater, appropriately accessorized, will provide great value for money. If you love to wear jeans then a statement sweater or jacket will create a stylish yet relaxed feel. With smart black trousers, white jeans or a skirt perfect for your shape, knitwear can look chic. Although most of us can’t run to the fabulous Armani sweater below there are many designers, such as Sarah Pacini, who can help us to make a real style statement. This grape wrap sweater, by Sarah Pacini, is the last word in versatility. Fabulous over a simple long sleeved top, classic white shirt or silk blouse. If you want a splash of colour then this light lime waterfall sweater is ideal. It will flatter most body shapes and can be teamed with jeans or tailored trousers. Make sure you care for your quality knitwear by following the manufactures instructions. Fashion comes and goes together with this season’s ‘must haves’. A camel coat has stylish endurance. Most women can wear camel, but if this is not the colour for you go with navy. Like camel, navy says style and the same approach to accessories works too. Choose a style that flatters your body shape. The belted coat looks good on tall or slim women whereas the shorter coat (from Top Shop) is very flattering for those of us with more generous proportions. Wear with white jeans for a casual and contemporary look or with well cut trousers or jeans. Camel looks very chic with boots and especially pulled together with a statement handbag. Investing in a good quality camel coat is well worth it. If your budget doesn’t allow this check out stores such as Zara who usually have a camel coat (or two) in their store. Camel loves pinks, reds and plums. Don’t be afraid to accessorize creatively. The metallic clutch below works brilliantly. A camel coat may be thought of as traditional, there is no need for it to be boring. Try a scarf to create different style looks. A woman can never have enough scarves! Camel looks classy and investing in a camel coat is money very well spent. Dress it up or down it is a timeless piece that you can always rely on. Style rejuvenation is not just about updating your wardrobe. It is much more about understanding what works well for you and what doesn’t. Part of this is working with – rather than against – your body shape. As any handwriting expert will tell you, your signature is unique to you. Your style signature can also be unique. Style is about how you put your outfits together. You do not need wardrobes full of clothes, most of which you will never wear. A few well chosen garments can transform how you look and feel. 10 items are all you need! Excluding accessories of course. But more of those later. Lets start with the classic white shirt. With jeans, tailored trousers or skirts. Believe you can’t wear white next to your skin? Easy. Add a scarf or a piece of statement jewellery. A white shirt cut to suit your body shape has endless appeal and versatility. A white shirt does not have to boring. This is where accessories come in. What could be more simple and yet remain chic? A white shirt with jeans is timeless and ageless. There are many styles and you don’t have to stick to a classic design. 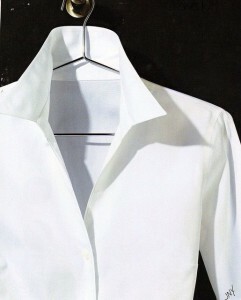 Why not check out the different ways you can wear your white shirt? A white shirt, or two, is a good investment as it will become a wardrobe staple. Plus on a cost per wear basis the white shirt it’s hard to beat. It’s that time of year when many women realise that ‘perhaps’ they have enjoyed the festive season a little too much. If you are anything like me the first casualty is my waistline. So, it’s back to the gym and a re-visit to all those fitness DVDs bought over the years! This year I have decided to start from a different perspective. Eating healthy foods has never been a problem for me as I actually like fruit and vegetables, but it can be a struggle in the winter months when comfort food cries out. Enter the Magic Bullet, or more precisely Nutri Bullet! I have only been using this for a few days so I can’t make any health claims. What I can do is to tell you just how easy this is to use, and even more importantly ( as far as I’m concerned) to clean. It comes with great recipes. My favourite so far combines spinach, banana, berries, pineapple and flax seeds. It tastes great. 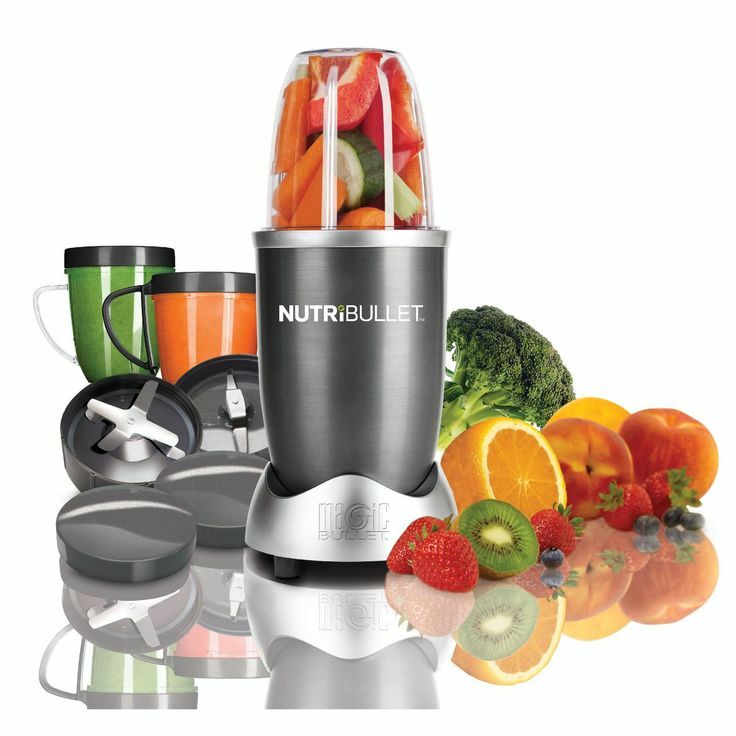 If you know someone who has difficulty eating their greens and their fruit option seems limited to an apple or orange then the Nutri Bullet is the answer. For older women even the best skin care products on the market cannot compensate for the glowing healthy skin that comes from a good diet. Let’s glide into 2016 feeling healthy, energetic and – if you wish – just a tad virtuous! So many clothes yet nothing to wear! My client always looked good and had a clear insight into what worked for her. So you can imagine I was a little surprised when she asked me to spend some time helping her ‘sift’ through her wardrobe and create some kind of order. I’ve always considered that I had a pretty extensive wardrobe until I spent a couple of days with Geraldine. Phew! We sorted out what she wanted to keep and the rest either went to a charity shop or to be recycled. What I quickly realised was that she had some great outfits she rarely (if ever) wore. She didn’t need any new clothes. What she needed was a fresh look at the existing pieces. This is Geraldine’s response, ” With Brenda’s keen eye and style expertise we quickly sorted out the gems to keep and what had to go! Brenda’s infectious enthusiasm, passion and clarity ensured this process was fast and easy with lots of laughter along the way. Then came the magic as Brenda brought the remaining core pieces to life creating different combinations using colour and accessories. All from my existing wardrobe. Happily I now have less clothes cluttering up my wardrobe and enjoy having far more to wear”. Having a range of layering pieces in your wardrobe is essential if you want to create versatile outfit options. They also keep you warm! Although layering pieces can include T Shirts. camisoles and sleeveless tops, often referred to as ‘tanks’, they need to share one common factor. They must be fitted (no baggy T shirts please!) to enable them to follow the contours of your body. Not skin tight but close enough so the items you wear on top hang well. Basic pieces can be long-sleeved, short-sleeved, V necked, crew necked – you get the picture. If you are prepared to invest then you can’t get better than the Wolford top and body shown above. Or perhaps you’d prefer the sleeveless tank from www.madeleine.co.uk , who sell a great range of top quality clothing – shown below. Whether it’s demure white lace or more dramatic black both pieces will layer well. You may choose to have basic pieces which are hidden from view. This is a mistake in my opinion as there are many really pretty pieces available. From Marks and Spencer to Wolford. Wearing a simple white camisole under a plain top creates some interest. Without the show of white the above outfit would be rather boring. When your outfit just has to be right! When your daughter or son gets married you want to ensure it’s a day to enjoy and savour. You don’t want to be worrying if you’ve chosen the right outfit. You want to know you look your best and then be able forget about it! I was asked by a client to help her with her wedding outfit, which she had been agonizing over for some weeks. Let’s hear what she has to say. “As a somewhat curvy, plus size Mother of the Bride, I was not keen on going wedding outfit shopping. I decided to have an outfit made. Brenda came with me on several visits to the dressmaker and was invaluable in advising me on colour, style, fabric, hat and accessories. On a day to day basis I like to try and hide away in blacks. My self-esteem related to clothing is low, so I was delighted on the day, thanks to Brenda’s help, to feel totally comfortable in a unique royal blue lace dress. I can honestly say Brenda provides an exceptional service”.